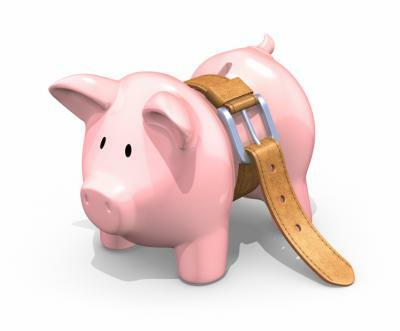 The Treasurer Joe Hockey announced the toughest Federal Budget since 1996 with the tightening of the nation’s belt and a focus on cost cutting to lower the nation’s $49.9 billion deficit. The budget measures announced propose a reduction in the deficit next year to $29.8 billion and a gradual decrease over the next 3 years following to an estimated $2.8 billion in 2017/18. A visit to your doctor, blood tests, eye tests and some X-ray services will no longer be free but will cost $7 per visit from 1 July 2015. Prescription medication costs will also rise with a $5 prescription fee being payable for any prescription subsidised by the Government’s Pharmaceutical Benefits Scheme. If you’re a concession cardholder then you will face a $0.80 increase per script. Petrol prices will increase by an extra 1c per litre due to an increase in the fuel excise which the government plans to use to invest to build new roads and upgrade existing infrastructure. Whilst there will be no changes to personal income tax rates, the government will proceed with the 0.5% increase to the Medicare Levy to help fund the National Disability Insurance Scheme announced last year. From 1 July 2014, the Medicare levy will be 2%pa. In addition, individuals with income of $180,000 or more will pay a 2% Budget Repair Levy for every dollar of taxable income above $180,000pa. This temporary levy will commence on 1 July 2014 for three years. The Medicare levy low-income threshold for families will increase from 2013/14. A range of stricter eligibility requirements, cuts to existing Family Tax Benefit (Part A & B) and the introduction of a new benefit could lessen the impact for those with children. The Dependent Spouse Tax Offset will be axed from 1 July 2014. Australian’s born after 1 January 1966 will need to turn age 70 to be eligible for the Age Pension. It’s anticipated this increase in eligibility from age 67 to 70 will force more Australians to work longer. The level of assets that a pensioner will be able to own before it starts to impact on their pension entitlement will change from September 2017 with a reduction in the deeming rates from $46,000 to $30,000 for singles and $77,400 to $50,000 for couples. For self-funded retirees, from September 2014, the income limits, which determine eligibility for the Commonwealth Seniors Health Care Card (CSHC) will increase potentially enabling more people to access concessional medicines listed on the Pharmaceuticals Benefits Scheme. However, the seniors supplement (paid in conjunction with the CSHC) will be cancelled. From 1 January 2015, tax-free pension payments from a superannuation income stream will be included in the assessment of income to determine eligibility for the CSHC. Currently superannuation income streams received by clients over age 60 are non-assessable non-exempt income for tax purposes. The assessment of the tax-free pension payments will be the same for CSHC holders as for Age Pension recipients, and will align with the deeming of account-based superannuation income stream balances from 1 January 2015. Accordingly, it is expected that clients who hold a CSHC and have an existing account-based pension as at 31 December 2014 will continue to have the account-based pension exempt from the CSHC eligibility assessment. Paid parental leave will be introduced on 1 July 2015, providing six months paid leave including superannuation. The Mature Age Workers Tax Offset will be cancelled from 1 July 2014. Employer Superannuation Guarantee (SG) payments will increase to 9.5% on 1 July 2014. The level that employers will need to contribute to an employee’s superannuation will remain at 9.5% until 30 June 2018. The rate will then increase by 0.5% each year until it reaches 12% in 2022-23. Individuals that made personal contributions to superannuation in excess of their non-concessional contribution cap from 1 July 2013 will have the option to withdraw these amounts and any associated earnings. The associated earnings will then be taxed at their personal tax rate. Small businesses will receive some tax relief with the company tax rate reducing to 28.5% from 1 July 2015. A small business and family enterprise ombudsman will also be set up to provide small businesses with the same level of protection currently offered to consumers. Large businesses with taxable income of $5 million or more will face a 1.5% levy designed to help fund the Government’s paid parental leave scheme. Students will be facing higher university fees due to the Government’s decision to cut funding of course fees by 20% from 1 July 2016. Fees for University, TAFE and colleges may also increase, as these institutions will be able to set their own fee levels from this date. Students with Higher Education Loan Program (HELP) debts will be required to repay their loans sooner (once they earn $50,638pa or more). In addition, students will face higher interest rates for the amount borrowed due to changes in how loan balances are indexed. From 1 July 2015, new rules will see people under age 25, who require income support, no longer eligible for Newstart Allowance, instead having to apply for Youth Allowance. A six-month waiting period will apply to all new applicants. For those aged 30 and under, the six-month waiting period will also apply to Newstart Allowance. Once eligible, participation in the Work for Dole scheme for a minimum of 25 hours a week will be compulsory. Income support payments will cut out periodically after 12 months. The First Home Savers Accounts will be axed. Existing account holders will receive the Government co-contribution for the 2013/14 year only but the tax and social security concessions associated with these accounts will remain until 1 July 2015. Existing account holders will be able to withdraw their balance without restriction from this date. A one-week waiting period will apply to all applications for Newstart Allowance, Parenting Payment, Widow Allowance and Youth Allowance from 1 October 2014. Disability support pensioners under age 35 will be required to participate in compulsory activities designed to help them obtain employment. All disability support pensioners will be limited to a maximum time spent of 4 weeks’ overseas before the pension payments will be impacted. The Age Pension, Disability Support Pension, Carers Payments, Parenting Payment and Veteran’s Affairs pensions will be indexed with inflation, which is a reduction to how some of these payments are currently increased.